2. What did the researchers actually say? 4. Links to the original work? 6. How to assess risk? 7. Is the article biased? 9. Consistent with other articles? This article was written by Dr Annie Tindley. There is a lot about land in the Scottish press at the moment, and no wonder. As part of the SNP’s legislative programme, a new Land Reform Bill, and a Community Empowerment Bill are currently under scrutiny at the Scottish Parliament and scheduled to pass into law in 2016. Land reform is far from a straightforward process, however, as some of the reporting around the topic has demonstrated. Legislative land reform has been a part of Scottish political life since the 1880s and it is a polarising, divisive issue – politically, socially and economically – leading to heated debate and a lack of consensus. A challenge for any reporter then; so, how can we characterise the reporting on the issue, perhaps especially regarding the use of historical research and public perception of history? There is no doubt that history looms large in the reporting of land reform in Scotland, and this is a consequence of the ways in which different interpretations of the historical landscape have been used to ‘justify’ certain policies – or to defend the status quo. In such a divisive issue, both ‘sides’ – crofter, communities versus private landowners – have used history to attempt to prove their points, illustrate their position and (crucially) pitch for the future. This was very apparent in an article published by the Herald newspaper on 25 August 2015, titled ‘Resettling cleared land, a symbol of progress’, by David Ross. The article reported on calls by the Scottish Crofting Federation (SCF) on the Scottish Government to consider measures in the new Land Reform Bill to ‘encourage the resettlement of some of the human deserts created by the mass evictions of the Highland Clearances.’ The article goes on to report that the SCF wants to see compulsory purchase of land ‘being neglected or misused’ so that it can be restored to community benefit. At heart then, this article exposes the competing views of Scottish rural history that form the basis of very different contemporary political positions. The most common justification for land reform is the tragic events of the Highland clearances, which took place around 200 years ago. This, and the startling figure of just 432 owners holding half of Scotland’s privately owned land push forward the debate on land. However, land reform in Scotland since 1911 has applied to the whole of the country, not just the Highlands and Islands; additionally, the largest landowner in the country is in fact the State, in its various guises. More importantly, there is no consensus among historians as to the motivations, execution and impacts (short, medium and long term) of the Highland Clearances. Attempting to draw concrete conclusions from them, or from history at all, is a dangerous game, and although the reporter in this case was simply outlining competing views, it looks like a balanced and critical use of history in the land reform debate in Scotland is still a long way off. Which ‘state’ is it that owns most of the land in Scotland, and what form does it (the ‘state-owned’ land) take? 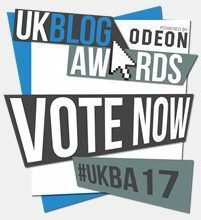 Vote for us at the UK Blog Awards. Research the Headlines addresses the way in which research is discussed and portrayed in the media. Each post will take recent media coverage of a piece of research as a starting point, and will allow readers to get to a better understanding of what was really done, and what it might mean for them, from an expert but independent position. The blog is intended to be of interest to those with and without any training in research. How do cancer cells behave in space? Milk... Is it worthy of the tag line "what more can a body ask for?" Our contributors are all current and former members of the Royal Society of Edinburgh‘s Young Academy of Scotland. They represent a broad and multidisciplinary group of individuals, coming from science and the humanities, the professions, the arts, business and civil society.